PAUL CASEY believes the tests posed by the Masters ‘play into his hands’ as the Englishman seeks a first major title. 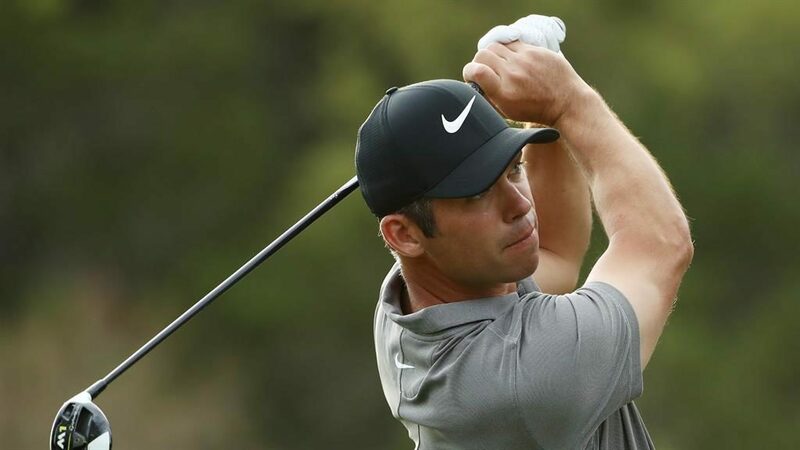 Casey has finished no worse than 15th on his last four appearances at Augusta National and looked set to equal the course record in last year’s final round after playing 15 holes in nine under. In the end he had to settle for a 65 but a disappointing finish could not dim Casey’s belief he could secure the green jacket after defending his title in last month’s Valspar Championship. ‘I always believe this is the best chance I have to win a major,’ said the 41-year-old (pictured). ‘The others I need a little bit of luck, maybe the right weather, the right tee time but not here. ‘I drive it well, I’ve got great iron control, especially distances with the long irons. I’m one of the best mid-to-long iron players in the world, which is key as this golf course gets longer and longer. ‘My putting stats are not necessarily the greatest but you need to be a good touch putter here which is what I am. 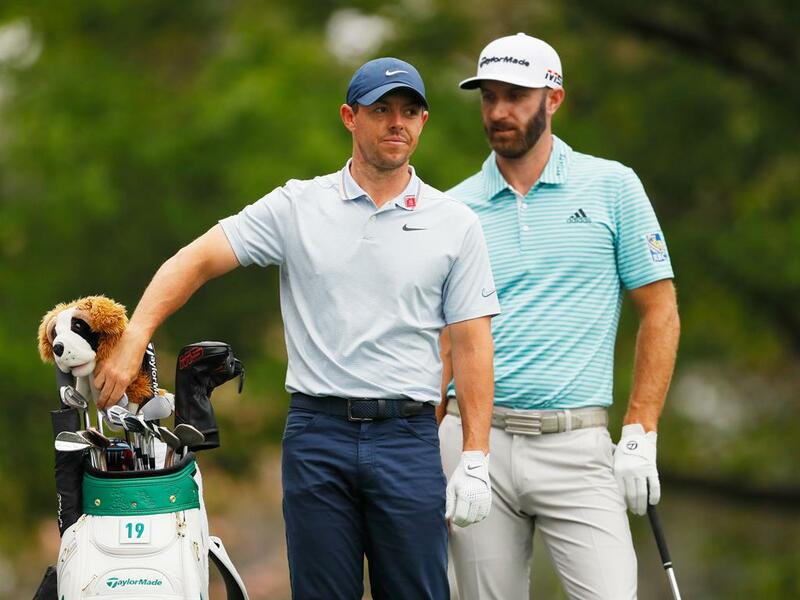 THE world No.2 and No.3 formed an impressive practice group yesterday as the stars came out to prepare for the Masters. Second-placed Dustin Johnson joined Rory McIlroy to fine tune their games ahead of their latest attempt to win a first green jacket. 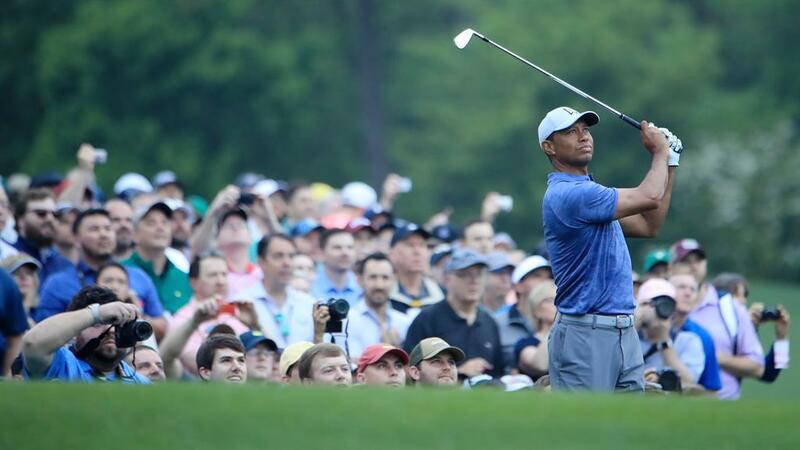 Rejuvenated Tiger Woods was also a big attraction for the crowds, who watched the 43-year-old at Augusta where he will go for a fifth Masters crown.